The cost of medications and medication related issues often take their toll on seniors. Medication doses change, medications change, administration frequency is confusing causing not only the financial cost, but the physical cost overwhelming. The following are some issues that are frequently seen by seniors and their families. When you are being given a new medication by your healthcare provider, ask for a smaller supply. Most prescriptions are written for a one month supply. If you have a return visit to the doctor in less than a month for evaluation of new medication, ask for the prescription to be less than the thirty day supply. This prevents waste of money and medication if the dose or medication is changed. be replaced with older preparations with little difference in effect, but huge differences in cost. Do not always ask for the newest medication. Physician attains much of their information about medications from pharmaceutical representative who are selling their own company’s medication. There are many ways to treat most conditions and negotiating with the healthcare provider is a way to reach a consensus that is affordable and right for you patient. If there are no other options for treatment, your healthcare provider will share this information with you. Some pills and tablets are scored, or have an indented slash across the pill body. These medications may be broken in half for dosing. Some can be snapped in half and others require a knife or other sharp tool. Not all pills can cut in half. Some medications have special coating and others like capsules have granules of medication that must be left in the gelatin capsule to be effective. Never divide a pill in less than two parts. It is impossible to get an accurate dose. A large dose medication is sometimes less expensive than the smaller dose medication. Speak to the physician about purchasing the less expensive alternative and cutting the pills in half yourself. Do not cut pills in half if you have a vision problem like macular degeneration. It is too easy to make a medication dosing error that could be fatal. Generic medications are manufactured using the same active ingredients that name brand medication. There is mixed consensus on the appropriateness of generics medications, but for most drugs they seem to be effective. There are some medications like Coumadin vs. warfarin that should not be interchanged. Speak to your pharmacist or healthcare provider to seek out medication that is generic equivalents. Manufacturers are able to produce these medications less expensively because the patent on the original drug has run and no longer applies. Medications comparison shopping is no different than comparison shopping for other needs. Costs vary at different pharmacies and geographically. Go to the internet and type in “medication costs”. A number of web sites will assist you in comparing your medication costs and may save your substantially on your drug costs. If mail order purchasing is available with your insurance coverage, it is a great time and money saver. The medication is delivered directly to your home and in 90 day or 3 month supplies. This saves time and money going to the pharmacy and waiting or remembering to call in the prescription. Do not do mail order on a new prescription because these drug regimens may change and you do not want a 90 day supply of medication sitting unused and wasted. Call you insurance company to see if and how to order through the mail. Medication costs are partially covered by Medicare. The program is called Medicare D. Each year the senior must select the medication provider as a beneficiary. It is worth your time to be vigilant in the search for the best provider. Formularies, lists of drugs that the pharmacy carries, changes from year to year. So even though a drug was covered currently, it may no longer be on the formulary for the future. Your drug dosing and number of prescriptions may also change substantially within a year period of time. Take the formulary of the Medicare D program to your healthcare provider. They can review the formulary drugs and order accordingly saving you money. The pharmacist is another resource to assist in the management of Medicare D. The web site www.medicare.gov will provide you with a tool to help you select a pharmacy program that best meets your needs. Some drug manufacturers will discount or provide medication free of charge to patients. The primary criterion is level of earnings of the patient. You will need to provide an accounting of financial resources to be able to participate in these programs. If the medication is generic, this is not available. Ask your pharmacist for the name of the manufacturer of the medication that you are using. You can contact the manufacturer directly with help from the pharmacist, your healthcare provider or the internet. Documentation may seem tedious, but it can save you hundreds if not thousands of dollars a year. The pharmacist is truly the expert in the use, effects and side effects of medication. Their expertise is grossly under utilized by the healthcare consumer. With seniors using much different medication, there can be adverse side effects. Use only one pharmacy to fill all of you medications that way the pharmacist is able to monitor your medication profile prospectively. 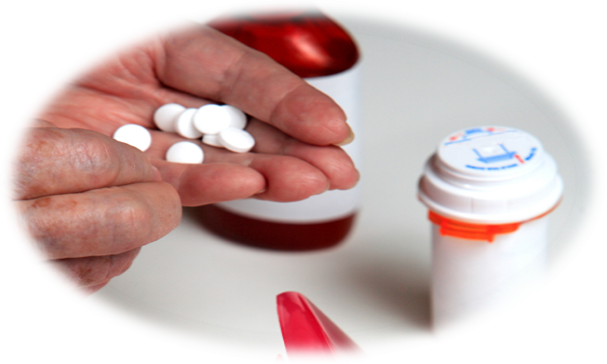 One of the main reasons seniors are admitted to hospitals is medication related interactions. The pharmacist can also help prepare you for the conversation with your physician concerning your medications. They can give you data on other drug options, costs of the options and side effects profile. Not all of the medications used to treat a condition have the same side effect, for example there are many types of medication for treating high blood pressure. If you are uncomfortable speaking to the physician due to language and terminology, the pharmacist may be willing to call the healthcare provider to facilitate for you. Do not flush medications down the commode. This is harmful to the environment. We are finding high doses of the break down products of medication in the water supply and in animals that drink the water. Call your local police station or speak to your pharmacist about a place in your area that will help you destroy unused medication. One of the risks of unused medication is other raiding your medicine cabinet for medications that can be sold on the street or used to get high. Look at medication bottles in your medicine cabinet and destroy the contents as they are expired. If you wonder if the medication is still safe, call the pharmacy where you purchased the medication and ask.